So, you think you’re ready to buy your first home? This is possibly one of the toughestdecisions you will make in your life and it is smart to make sure you have all your ducks in a row before hand. Take a look at this checklist to see if you are prepared. 1. You have positive cash flow The idea is simple. If you have more income than you’re spending on everyday items and debt payments you have positive cash flow. This is essential when buying a house as it is normally 8 times your salary. When applying for a mortgage, the bank will look at capacity. What is your capacity, or ability, to repay the loan? This will be judged upon your income and how consistent it is. In terms of bills there is the obvious, your mortgage to pay. However, there are the other expenses you don’t think of such as rates, water, power, internet, and other general maintenance bills. These are on top of your daily living costs like petrol, food, car insurance, material items and more. This is all very costly and may not leave you much money at the end of the week. This is why it is vital you have job security. 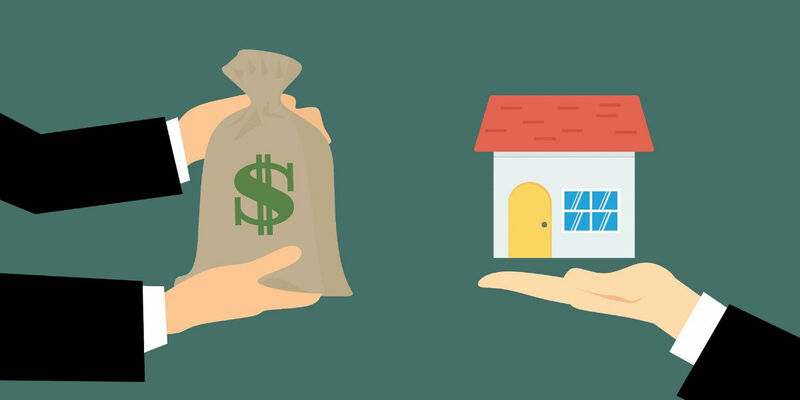 A steady income is a must when purchasing your first home to withstand your mortgage payment. Before purchasing your home, ensure that you have a steady job and have a plan B in case something were to happen with your weekly income. 2. You know what type of house you should buy When you are ready to buy, you will be ataken back at the amount of options available, especially with the growing population and demand for houses. Buy within your means and understand what you can maintain. As a rule of thumb experts suggest you borrow up to 3 times your annual salary. If you are single and purchasing the house by yourself, it may be a good idea to look at buying a town house, condo or apartment. This means less maintenance for one person. If you area couple buying together, a good idea may be to buy a house that you can renovate. This means the house will be cheaper when buying and this can give you and your partner a chance to really make the house yours, while giving you two a project to keep busy. If you have a small family, it may be right to buy a house that is bigger in a child friendly neighbourhood. The reason behind this is if you are wanting to expand the family later there will be enough space for the little ones without having to move again or be cramped. Whatever the circumstances, you want to choose a house that is right for your situation. 3. You have saved enough for the down payment Buying a house will most likely be the most expensive purchase of your life. This is why making sure you’ve saved enough is crucial. Many first homebuyers take money out of their Superannuation or other saving schemes that are used for saving for retirement. This can be a costly mistake that can have a negative impact on your future. Instead, try dedicating a savings account, which can be used for the down payment instead. Be strict on yourself and understand that you will need to make some sacrifices in order to be able to save the amount needed. When buying the bank will look at capital. This means they will see how much money you have as a down payment, but also how much money you’ll have left in the bank in case you come across financial trouble in the future. To get a head start on your savings, take a look at some simple tricks and tips I suggest here. 4. You are ready for the commitment Of course you’ve given thought to the idea of owning your own home. But for a lot of first time home buyers they don’t consider the extra expenses that you didn’t come across when renting. Broken dishwasher? You have to fix it. Doors need new handles? You have to fix it. Shower pressure needs fixing? Again, your problem. Gone are the days of calling the landlord to come sort the issues. Ensure you are ready for this extra responsibility and have the savings to afford these household problems. 5. You’ve researched the neighbourhood Making sure you’ve researched where you want to live is a major decision. Ideally, you want to settle in your new home for more than a couple of years, this is why you want to know all about the suburb. Is it close enough to work? Does it tick all the boxes? Is it close enough to your friends and family? Is it further enough away from the city? Is it a friendly neighbourhood? You make these decisions based on the life you want to design for yourself. Take the time before buying to do some research on the suburb you are interested in, drive around it and see what it has to offer, you’ll soon know if it’s the right place for you to settle. At the end of the day, it is your decision if you feel you are ready to purchase your first house. Being more prepared than not will help you in the future. Simply ticking off this checklist will help you be sure you are ready and making the right decision at the right time. At the end of the day, it is your decision if you feel you are ready to purchase your first house. Being more prepared than not will help you in the future. Simply ticking off this checklist will help you be sure you are ready and making the right decision at the right time.